Here’s the next version of the Dolphin Viewer for your entertainment. This release is quite important for Second Life Marketplace merchants, since it contains a working Merchant Outbox for Direct Delivery with an additional tweak from FireStorm. Full support for direct Delivery, including Merchant Outbox, which uploads on linux and Mac, not just Windows. The timeout for Merchant Outbox upload has been doubled to make it fail less often. The “RLV Height offset” slider is now wide enough to be properly functional, and has a reset button. A checkbox to disable rendering of attached light sources has been added in Preferences->Dolphin Viewer 3->Graphics. A fix for scripted sounds from FireStorm has been imported that makes scripted sounds play correctly the first time. Codebase has been updated to official 3.3.1 source from SnowStorm. RLV has been updated to 2.08.03.01. Please read carefully if you have an ATI graphics card. New: Texture compression. This should alleviate some crashes on systems with smaller graphics cards. The checkbox for this new setting is in Preferences->Graphics->Hardware settings. If your graphics card has 512 mb memory or less, this setting is turned on by default and enables texture compression. NOTE: For those of you who have an ATI graphics card, texture compression should always be switched off. New: Online help redirect. The Help button/menu item in every floater now takes you to the Dolphin Viewer forum where you can search for information, or post your question about your problem. New: Antispam filter from the NaCL Viewer. New: Asset Blacklist from the NaCL Viewer. Basically the same as Derender, but the list of the UUIDs of derendered objects is saved on your computer, so they won’t reappear when you leave the sim and return. Detailed info on this feature with screen shots is available here. New: Sound explorer from the NaCL Viewer. “Area search” for sounds. Lets you find (and occasionally block) sound sources. For detailed info, look here. Fixed: Fly-after-teleport. Now, when you were flying before a TP you will be flying as well when you arrive. Changed: Antialias is no longer off by default for all graphics cards, since it does not have that big bad performance impact anymore. Changed: The “Items incoming too fast” popup that appears when you unpack boxed stuff now fades out on its own and has no “OK” button anymore. The downloads are on the download page, like always. 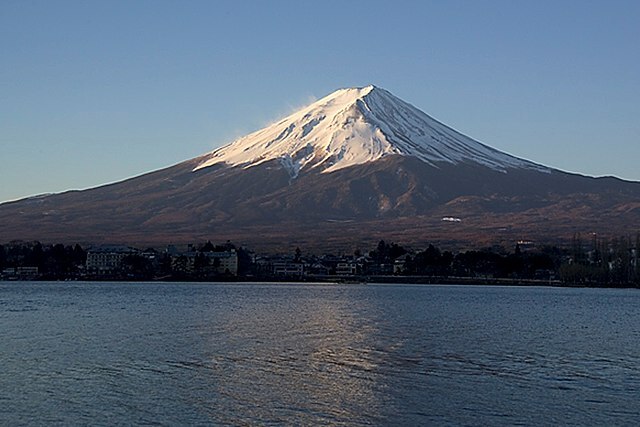 Here’s the newest release for you, 3.2.9.23173, the “Fujiyama edition“. Why Fujiyama? Well, pretty much everything in this release is about taking pictures, and my first decent camera in real life was a Fuji STX-2. Reverted webkit to the version used before, to make images in webpages work again. Fixed: posting pictures to your profile feed under linux works now. Fixed: the Flickr uploader does not ask for Flickr authorization until you actually go to use it for the first time. Fixed: the Flickr uploader goes back to the snapshot start page on success. Fixed: the Flickr uploader now uses the standard progress indicator. Added: “Direct snapshots” (the ones you do with the ctrl-shift-d hotkey) now have their own, separate quality settings. Added: all windlight presets and day cycles from Firestorm. The picture is from the Wikipedia article on Mt. Fuji, and not taken by me.